Safety in the car is of prime importance to motorists who go for long road trips for business and recreational purposes. Extensive planning for major trips does not always equate with smooth-sailing trips, though. Accidents and mishaps do happen along major thoroughfares, making on-board car cameras useful for providing clues and evidence of its possible causes. The usefulness of dashboard cameras in this respect is dependent on the quality of video recording and playback. A dashboard cam with full-HD recording capability that provides the right quality of video images acceptable to the police is of critical importance in these situations. In a similar manner, a car camera security system should provide HD-quality videos for the successful investigation of car theft attempts and other criminal activities. In addition to providing reliable video recordings on the road, car camera security systems are becoming popular deterrents of theft and vandalism. Dash cams with advanced features like GPS support, WI-Fi connectivity for video downloading and parking motion detection are cost-effective solutions for vehicle monitoring for commercial vehicles as well as for private cars. These cameras act as surveillance systems that protect the car and its contents from criminal elements. Dashboard cameras come in a variety of sizes and a combination of features. If you are seriously considering a unit as a car camera security system, you should know and understand each feature and how it contributes to the safety of your car. Some features that require close scrutiny are listed below. Video resolution helps to make out the tiniest details identifiable. The camera resolution should be at least 720p (1280 x 720) to obtain HD quality videos. Current standards demand 1080p (1920 x 1080) for full HD quality. Cameras that provide higher resolutions give more details but are priced much higher. Lock file buttons and G-Sensors are features that secure video files and prevent these from being damaged or erased. The G-Sensor locks video footages when an impact is detected, while the lock file is the emergency button that allows you to mark and save the video file with a single touch. Parking Mode is the feature that triggers the camera to turn on and start recording when something hits the car. Enhanced protection is offered by the buffered parking mode that makes the camera record continuously while the car is parked without saving the footage unless recording is triggered by the G-Sensor and motion detection features. GPS support is an optional but powerful feature that enables the camera to record video footages that include the exact position and speed of the vehicle that blends with the date and time stamp. This feature comes with a hefty price and a bigger model. Date and Time Stamp is a useful feature when video footages are considered for presentation as evidence against criminal elements. Selections of competitively-priced dashboard cameras that incorporate many of these features are presented in this car camera security review. 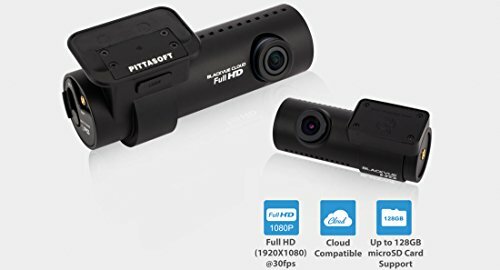 These dash cams are rated for excellent full HD video resolution and other features that are worth considering. The Blackvue DR750LW-2CH Car Black Box DVR Recorder is packed with features that include a front 2.4MP Sony Exmor video sensor and a rear 2.0MP video sensor, both with 1080p resolution and support for 64GB memory cards. It has a large 4-inch touch screen and offers three recording modes – the normal or default mode for continuous loop video recording as the car moves, parking mode for the selective recording of footages when triggered by the G-Sensor and motion detection and the emergency mode for the manual tagging of important footage. GPS support is an optional add-on feature, while automatic temperature protection and low voltage protection are integrated into the design. 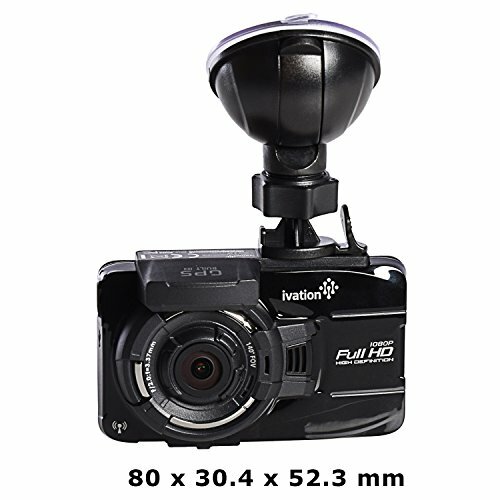 The Ivation Dash Cam GW18 1080p HD Video & GPS Recorder is equipped with a 140-degree wide angle 5-glass lens with IR filter for excellent low-light recording and a GPS Location Data Recording with G-Sensor and Motion Detection. The GPS Antenna Tracking embeds the car’s location and speed data to the recording. The camera has built-in Wi-Fi capability that enables you to remotely view real time and recorded video and to control the camera settings from a smartphone or tablet. The camera is packed with features that include WDR technology, audio recording, emergency recording overwrite protection, motion detection, date and time stamping and Parking Mode. 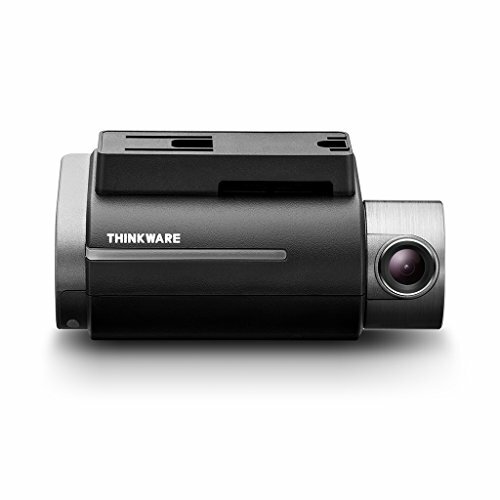 The Thinkware F750 Full HD Dash Cam with Sony Exmor Sensor is a 19M pixels camera with a 140-degree viewing angle. The built-in Wi-Fi capability allows you to use a smartphone to control the camera settings and to play back videos for remote viewing. The built-in GPS antenna has a warning system for impending red light cameras and speed cameras with an integrated Forward Collision Warning System (FCWS) that warns you when the car is moving towards a stalled or slow-moving vehicle ahead for safer driving. The camera supports UHS-1 microSD cards of up to 64GB of memory and offers the Parking Surveillance mode as an optional accessory.